Boating is an extension of your lifestyle. Whether you are catching waves or catching fish, enjoying the water is what it’s all about. It shouldn’t be sitting because of damage or looking worn down because of chips and cracks. 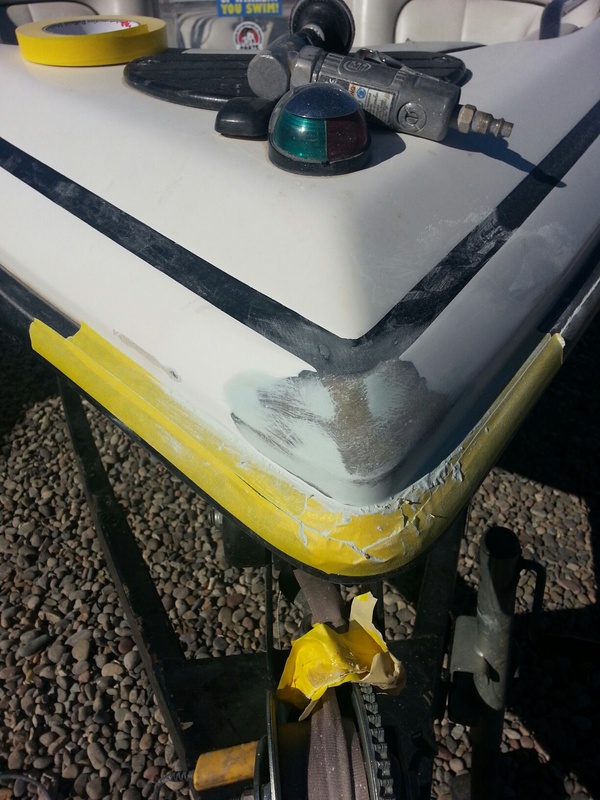 We use gel coat and custom color tint to properly match your boat in our repairs. Our boat hoist can lift up to a forty foot craft. We repair all types of damage, from small chips and scratches to major boat collision repair work. We work with insurance companies and offer free estimates. For the do-it-yourself type, we carry gel coat, resin, fiberglass and all the supplies you need if you would prefer to do the repairs yourself.